Italics can be the most colorful part of a type family, diverging dramatically from their roman cousins. Here’s a look at twelve kinds of italic typeface, with some notes on their cultural contexts, historical backgrounds, and practical applications. For as many kinds of typefaces as there will ever be, there’ll be even more kinds of italics. Nothing in the design of a roman typeface dictates what its italic will look like, and since the role of an italic is to be not only sympathetic with its roman but visibly different from it, italics are often free to explore unexpected constructions, or divergent visual traditions. 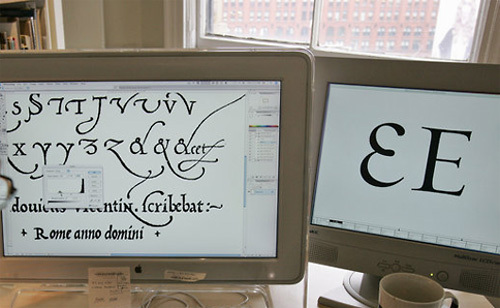 More so than romans, italics have a close connection with handwriting. Like handwriting, which can be as casual as a shopping list or as formal as a calligraphic invitation, different italics can express profoundly different moods. Understanding what goes into these many kinds of italics can make them even more valuable tools for designers. Some calligraphers believe that cursive letters reached their finest form in the sixteenth century, in a style known as the chancery italic. These are calligraphic letters, their thick and thin strokes and sharp upward angles a product of the broad-edged pen. Chancery italics have long signaled magnificence, expressing the joy of a wedding invitation or the pathos of a book of verse. We explored this lovely style in Requiem Italic, and outfitted the design with an extended set of decorative ligatures to attractively resolve collisions such as the “s–t–f–l” above. TIP: Because chancery italics have elegant, long-limbed ascenders and descenders, they need ample leading. Consider a font like Requiem when the format has lots of space — or for projects in which the text needs to be inflated to fit the format. Many boisterous italics are made in a postmodernist style, freely borrowing from different genres. This design riffs on the various fixed-width letters found on typewriters, taking cues from both upright and script alphabets, and emerging with a welcoming and informal tone. 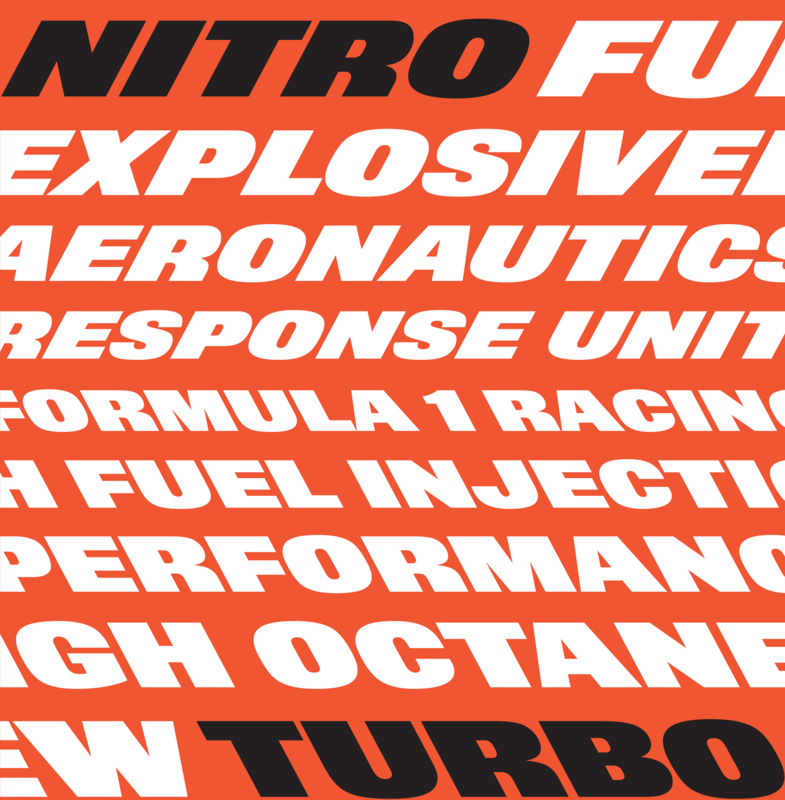 This type family extends to nine different weights, with the extreme Thin and Ultra styles having especially distinctive personalities. TIP: The eclecticism of Operator’s italic letters is echoed by the family’s many different and varied styles. Shifting between its small caps and lowercase, or its lighter and bolder weights, can be as striking as switching between romans and italics. And don’t be afraid to set whole paragraphs — or even whole texts! — in the italic. These sinewy letters in the english vernacular style come not from the history of typefounding, but from map engraving, where they were traditionally used to label bodies of water. In place of serifs, they have long and fluid “exit trails” at the bottom, which help them follow curved baselines like the meandering paths of streams and coastlines. For designers, this makes them a great choice when wrapping type on a curve, especially in logos and seals that need to reproduce at small sizes. TIP: Control the delicacy of Surveyor’s lines by matching its optical size to the circumstances. Surveyor Text was designed for small sizes, Surveyor Display for headlines, and Surveyor Fine for sizes larger still. Using the Text font in display sizes can be useful whenever you need heavier hairlines, such as when dropping type out of a photograph, and even the Display font can be helpful at smaller sizes, in situations where the hairlines will naturally gain weight, like when printing letterpress. Typefaces in the dutch old style manage to be dark and bright at the same time, like a rousing symphony in a minor key. An invention of the seventeenth century, when the airy types of the Garamond style gave way to a darker, northern European fashion, these faces are useful when typography needs both a dense color and a classical air. Their dark color can be especially useful if display type will appear against a non-contrasting background, like the white-on-grey above. TIP: Bold strokes and ample curves make a typeface like Quarto a good candidate for thoughtful tracking, either tight or loose. Loose all caps settings like this one are stately and monumental, while a tightly tracked upper- and lowercase setting can be warm and accessible. The arrival of the mass-produced poster, at the dawn of the Industrial Revolution, gave rise to typography’s first expressly eye-catching italics. These typefaces, unsurprisingly called fat faces, can be equally effective at sizes both large and small, provided the design has been correctly drawn. 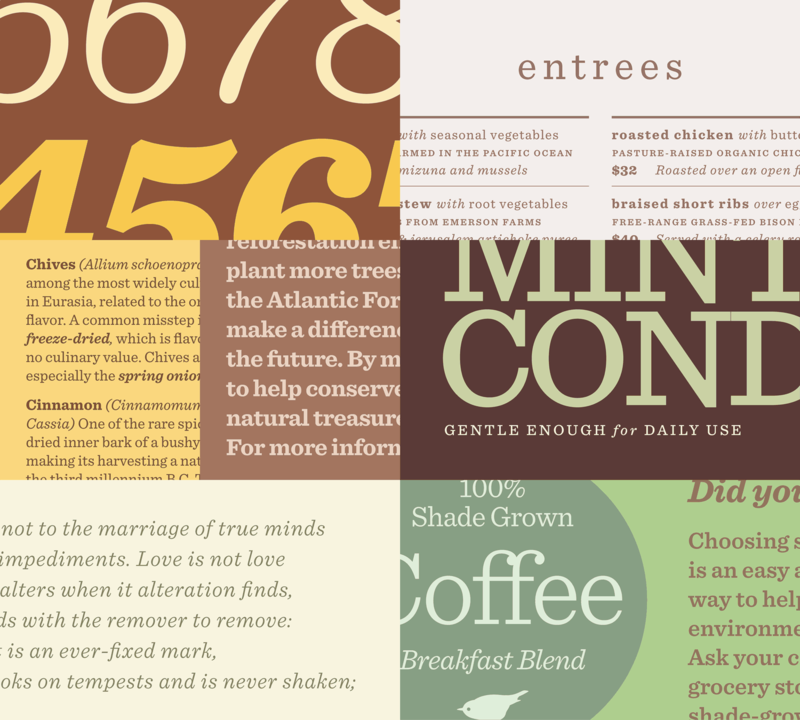 This family features three optical masters for Text, Display, and Fine typography, sturdy enough to withstand small sizes, and delicate enough to thrive at large ones. TIP: This typeface, Surveyor Fine Black Italic, has a decorative counterpart in the Obsidian family. Obsidian Italic features the same deep character set as Surveyor, full of small caps, alternates and swashes, all drawn with vibrant shading that comes alive at large sizes. TIP: Although it’s tightly fitted by default, the Nitro typeface responds beautifully to letterspacing. Its insistent lean provides more than enough momentum to carry the eye forward on the line, ensuring that even dramatically tracked type remains coherent and legible. Swash capitals, which have been part of typography since the very earliest italics, came to full flower in the french old style types of Garamond and Granjon. This family of typefaces, designed for display sizes, celebrates this tradition with a frolicsome set of swash caps that introduce each word with grandeur. Though swashes are customarily used only at the start of a word, many typefaces include swashes that work mid-word as well, when setting italics in all caps. Look for letters without elaborate curlicues on the left side, to ensure that they don’t interfere with their neighbors. TIP: In Hoefler Titling Italic, the swash C, E, J, K, Q, S, T, X, Y, and Z are designed to avoid neighboring letters. Other typefaces with medial swashes are Hoefler Text Italic, which also features a few swash italic small caps, and Surveyor Italic, whose swash caps and small caps are managed by an automated collision avoidance system. Some italics are cursive, following the natural motion of the hand; others are oblique, designed to look like slanted romans. Typefaces in the modern style often have elements of both, pairing a fluid lowercase with highly rational caps. This balance of mechanical precision and artistic brio has made them a popular choice in the applied arts, often providing the signature typography for cultural institutions, architectural practices, and most famously, fashion. TIP: Fashion typography, both editorial and commercial, has long relied on the precision and delicacy of this typeface, HTF Didot. In addition to its famous romans, try the family’s rarer italics: they provide the same keenness with an extra dash of grace, and some welcome moments of wit in the lowercase, figures, and punctuation. 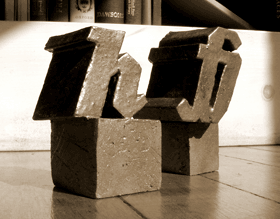 Typefaces in the antique style have blocky, unbracketed serifs — or at least their romans do. Equally distinctive is the far rarer Antique Italic, whose swelling curves and staccato ball terminals deliver a contrasting texture to the roman, but with the same dependability and courage. The most versatile Antiques are not only sober and trustworthy, but warm and lively, with extreme weights that are bright and alert. TIP: Though they’re often thought of as display faces, typefaces like Sentinel are tremendously useful in text. Across their entire range of weights, the fonts’ clear gestures and careful fit recommend them to even very small sizes. Depending on your taste, the family’s Light, Book, or Medium might all serve as the “normal” weight for text. Many sans serifs, in their rationality, have dispassionate italics that simply look like slanted romans. But typefaces with a humanist inflection can take a different approach, using the kinds of cursive forms more commonly found in seriffed designs. A sans serif whose roman has organic qualities, like these flaring strokes and gently bowing lines, invites an italic with a similarly handmade feel. TIP: A sans serif with a flowing italic can be an asset at text sizes, where it produces a texture that’s distinctly different from its roman. Ideal Sans Italic has not only cursive gestures and an elliptical motif, but a narrower gait than its roman, giving it a recognizably contrasting rhythm in text. One way to bridge the gap between the formality of print and the informality of writing is to create hybrid letterforms, in which typographic and calligraphic elements are fused together. Archer Italic, a cursive slab, uses this approach to satisfy a set of oppositions that were part of the design’s brief: the typeface was created to be instructive but not priggish, pretty but not overindulgent, and sweet but not saccharine, a balance it strikes by featuring both rigid serifs and flowing exit trails on the same letters. Many of the cheerful details in the design’s lowercase, such as the ball terminal on its lowercase C, have been imported into the caps, an unusual move that further softens the tone of an otherwise tough slab serif. TIP: Slab serifs with ball terminals can be tricky in their extreme weights, often losing their balance at the light end of the spectrum, and becoming gawky in their heaviest weights. Look for a design in which the lightest weights are both crisp and measured, and the heaviest ones are both steady and exuberant. A typeface that performs at small sizes can be useful as well, since it sidesteps the need to look for a coordinating serif text face. Some of the most interesting italics have no historical precedents. This one, exploring the idea that cursive typefaces don’t need to be curvy, was invented to accompany a grecian roman, a nineteenth century style of wood type with angular corners. Taking a more interpretive approach to type design can yield fonts whose styles aren’t readily identifiable, making them useful in projects that need to avoid specific historical associations or visual clichés. Last week I mentioned the atomic pen, which scientists used to construct some awfully tiny letters one atom at a time. These are small letters indeed: measuring two nanometers in height, they’re about ¹⁄₄₀₀₀₀ the thickness of a human hair, which surely gives their inventor sufficient authority to issue the casual throwdown that “it’s not possible to write any smaller than this.” But it is, of course, and the technique for doing so has been known to typefounders for more than five hundred years. 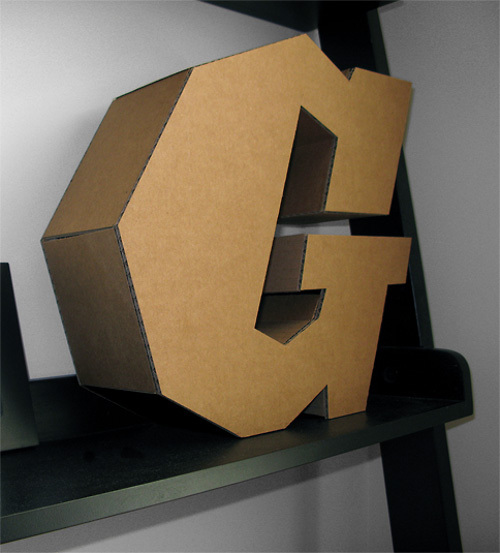 “Grecians” are slab serif typefaces in which curves are replaced by bevelled corners. The fashion for octagonal letters took off in the 1840s (the style may have begun with an American wood type, produced by Johnson & Smith in 1841), and by the end of the decade there were all manner of Grecians on the market: narrow ones, squat ones, light ones, ones with contrasting thicks and thins, and ones without. It’s unusual that the rather obvious “square-proportioned” Grecian didn't arrive until 1857, and that no one thought to add a lowercase until 1870. It’s this very center of the Grecian universe that our Acropolis typeface occupies, which includes an additional feature of our own invention: a Grecian italic, something that no Victorian typefounder ever thought to create. Or so we thought. This is the Six-Line Reversed Egyptian Italic of William Thorowgood, which sure enough qualifies as a Grecian italic. It has many peculiar features, but the most unearthly is its date: 1828, thirteen years before the first Grecian roman appeared. What’s the story?